BERSIH 2.0 urges Prime Minister Najib Razak to immediately stop the serial political violence inflicted on opposition politicians and civil society activists by thugs reportedly related to UMNO and PERKASA, while the Police often just looked on and no one has been charged so far. Bersih 2.0 warns that such impunity on political violence, if it continues, leaves no room for clean elections in Malaysia. If political activisms are met with physical assaults even before elections, could the safety of opposition leaders and campaigners be guaranteed come the next election? BERSIH 2.0 wants Najib to order an immediate investigation and prosecution of those responsible for the two latest incidents of political assault on February 26. 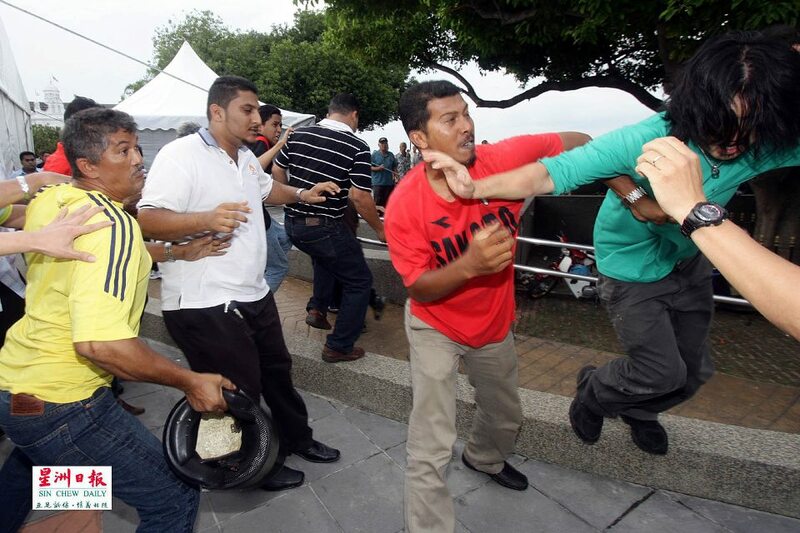 At Speakers’ Corner, Georgetown, Pulau Pinang, a group of thugs identified as UMNO Youth and PERKASA members attacked the anti-Lynas protesters and eventually injured two reporters. Most shockingly, the Police personnel looked on and did nothing. Later, the Chief Police Officer (CPO) of Pulau Pinang Ayub Yaakob blamed it on the organisers for not informing the Police of their event. At Felda Lepar Hilir 1, Gambang, Pahang, YB Nurul Izzah Anwar, PKR MP for Lembah Pantai, was assaulted by Asrullah Affendi Abdullah, an assistant of UMNO Lepar state assemblyperson Mohd Shohaimi Jusoh. These are not isolated cases. Forums by student activists and the Anything But UMNO (ABU) Movement have experienced similar attacks and no one has yet been charged in court. If PM Najib Razak refuses to take action to end such political violence, to have the assailants prosecuted and to punish those Police personnel who shirked their responsibility, Malaysia may be pushed to the edge of chaos and unrest by electoral violence. In this alarming development, BERSIH 2.0 calls upon Malaysians and the international community to establish a Election Observation Mission to mitigate such a threat. * The Steering Committee of BERSIH 2.0 comprises: Dato’ Ambiga Sreenevasan (Co-Chairperson), Datuk A. Samad Said (Co-Chairperson), Ahmad Shukri Abdul Razab, Andrew Khoo, Arul Prakkash, Arumugam K., Dr Farouk Musa, Liau Kok Fah, Maria Chin Abdullah, Richard Y W Yeoh, Dr Subramaniam Pillay, Dato’ Dr Toh Kin Woon, Dr Wong Chin Huat, Dato’ Yeo Yang Poh and Zaid Kamaruddin. 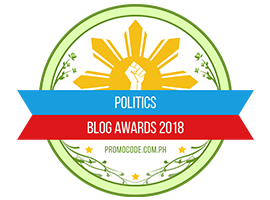 Posted in civil society issues, Democracy, Human Rights, Law and Order, Politics. Almost all politicians who were expelled from their parties or who left because of internal strife have the tendency to re-brand themselves as the “third force”. These politicians claimed they represent the voice of the disgruntled members and the fence-sitters.The latest to jump on the bandwagon is Jati, headed by Hasan Ali, who was expelled by PAS for allegedly not toeing the party’s line. Selangor PAS, helmed by Hasan, has been a “torn in the flesh” of the state Pakatan Rakyat government, with Hasan persistently harping on Islamic issues, and always going against the wishes of the PAS national leaders. With his expulsion, he formed Jati, which he claimed to be the third force that can sway the votes of disgruntled members and fence-sitters. But what Hasan has in mind is to swing the votes to the Barisan Nasional (BN). This is understandable considering that he had wanted to be part of BN when Pakatan took over Selangor in the 2008 general election. 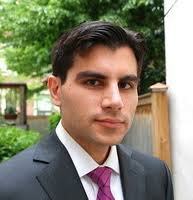 Whether Hasan will succeed in influencing the disillusioned PAS members and the fence-sitters is open to question. But the fact remains clear: PAS and its partners PKR and DAP do not see eye to eye on many issues. The internal feud has put Pakatan at a disadvantage as the 13th general election looms and this gives BN the upper hand: it can steal the votes of those uncomfortable with the arrangement of the loose alliance in the opposition front. 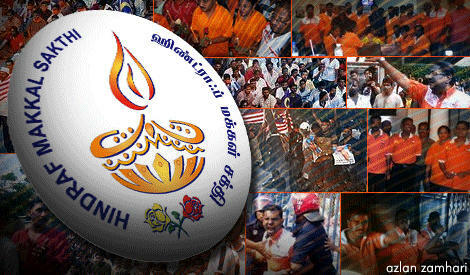 The third force – Hindraf – that threw MIC, the strong partner in BN, off-balance in the 2008 general election, had fizzled out and subsequently several other politicians have emerged claiming to represent the new force. Thus with MIC and all other BN parties getting their act together again, the emergence of the new third force, if it is led by expelled leaders from the opposition parties, can help boost BN’s chances at the polls. Hasan, though not a force himself, can help BN with his allegations by creating doubts in the minds of frustrated party members and waverers. He can exploit the “internal” crisis plaguing PAS in its stormy relationship with DAP and PKR as they squabbled on many controversial issues. For example, the row over Israel, the infighting between the intellectuals and the conservatives on the position of Kedah Menteri Besar Azizan Abdul Razak, and the expulsion of Hasan himself are fodders for the BN. Before Hasan, former MCA president Ong Tee Keat was also toying with the idea of forming a third force when he lost the party leadership to Dr Chua Soi Lek. However, Ong was not much of a political heavyweight with the Chinese community and soon his third force faded away. 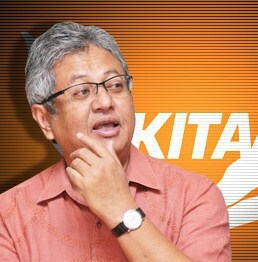 Zaid Ibrahim, who left PKR in anger, took over a dying party – Kita – and tried to reinvigorate it as a third force but it was in vain. The subsequent quarrel and split left the party floundering. As more and more politicians lay claims to leading a third force, the BN is smiling because the so-called new force is actually weakening the opposition parties. Although the leaders of the third force claimed they are not working hand in glove with BN, the incontrovertible fact remains that all their actions are undermining their own parties. Whatever they say in their ceramah or press conferences will definitely hurt the chances of their former bosses. 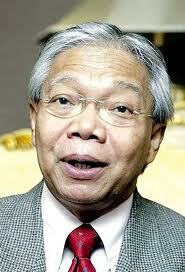 In short, BN is the one that stands to gain from the political posturing of the leaders of the so-called third force. Posted in civil society issues, Democracy, Politics. A police report was lodged against Khazanah Nasional Director Andrew Sheng alleging that he had given authority to his sister to transact shares of companies that Khazanah has interest in. A director of the Khazanah Nasional Bhd has been accused of transacting in shares in companies in which the investment holding arm of the government had an interest. Andrew Sheng Len Tao (left), 66, has been named in a police report which alleged that he had failed to disclose that he had been transacting in these shares and thus possibly breaching the Companies Act 1965. Andrew was appointed a director of Khazanah since July 22, 2008.According to the police report lodged by one Tan Teng Heng, 47, Andrew’s sister Sheng Lien, was given a “blanket authorisation” to transact shares on his behalf using their brother, James Sheng’s trading account. Tan is the husband of Sheng Lien, and is now involved in a divorce proceedings in the Kuala Lumpur High Court with the latter. He stated in his report that these details were revealed by Sheng Lien herself in open court. “According to Sheng Lien, following this blanket authorisation, she had transacted shares for and on behalf of Andrew for the period between 2007 and 2011. According to Sheng Lien, the profit and losses from these transactions belong to Andrew,” wrote Tan. The report said that shares which were transacted on behalf of Andrew Sheng, include – but were not limited to – “Tenaga Nasional Bhd, UEM Land Holdings Bhd, Telekom, Time dot Com, Time Engineering, Astro, and Axiata”. The report said that Khazanah has interests in all the companies mentioned and listed the percentages in shares Khazanah possessed within those companies. Tan said in the report that Andrew should have made disclosures of these interests. He also said said that Khazanah had confirmed that Andrew had made no such disclosures. Posted in business, civil society issues, Governance, management. Datuk Seri Najib Tun Razak is slated to win the next general election, with the margin depending on how both sides of the political divide appeal to and win over the 1.9 million new voters. I have spent the past three weeks almost exclusively in Malaysia – travelling and listening to people. A lot of this time has inevitably been spent with fellow writers and editors. So bearing in mind our collective fear of being wrong, here – for what it’s worth – are the key trends I’ve identified that will feature in the next general election (GE). The delayed pendulum: Ma­lay­sian GEs have tended to follow a pendulum-like movement, with swings to and from Barisan National (BN) in alternate polls. However, in 2012/3 there will be a subsidiary trend at work in Sabah, Sarawak and Johor (dubbed BN’s “Fixed Deposit”) if there is a shift of Chinese support while the rest of the peninsula reverts to form. The democracy wave from Singapore: The vote in southern Johor will be impacted by the many Malaysians who live and work in the city-state. Having observed the republic’s two nation-wide polls (parliamentary and presidential) in 2011 and witnessed the extent to which the PAP government subsequently reversed unpopular housing, healthcare and immigration policies, Johoreans will have learnt the value of tactical voting in order to engineer policy shifts. Sabah: West Malaysian/UMNO leaders continue to underestimate the importance of the Royal Commission of Inquiry on Illegal Immigrants for Sabahans (especially the KadazanDusun and Murut communities). The Prime Minister’s two key performance indicators (KPIs): Datuk Seri Najib Tun Razak is slated to win the next GE. However, victory is only the first of his KPIs.bThe second is that he must surpass his predecessor Abdullah Ahmad Badawi’s 2008 showing (140 seats). Indeed, the rationale behind Najib’s rise to the premiership was his unspoken promise of returning UMNO (and BN) to its earlier glory. Failure to achieve this will lead to a reassessment of his leadership. Najib’s presidential style campaign: It has boosted the premier’s approval ratings. Given the fact that Malaysia has adopted the Westminster system, the PM’s popularity has not translated into greater support for UMNO (or BN), leaving many potential candidates to struggle. 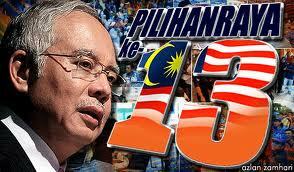 As such, there is no guarantee that Najib’s personal popularity will strengthen BN in the 13th GE. Newly-registered voters: Esti­mated at some 1.9 million, both sides are scratching their heads as to how to appeal to and win over this disparate and largely disinterested mass of voters. There appears to be little party loyalty and commitment among this group. Their support may well depend on a last-minute and/or unexpected political “black swan-type” event triggering a sudden and massive swing in either coalition’s favour. Indian community: The community is no longer virulently anti-Barisan. While Malaysian Indians are by no means “grateful”, the Hindraf-connected anger has dissipated with the departure of MIC honcho Datuk Seri Samy Vellu and Datuk Seri G. Palanivel’s low-key leadership. The Indian vote will help BN in countless marginal seats. NFC – “Istana” Mat Deros for 2012: In 2008 we had UMNO’s Port Klang Assemblyman, the late Zakaria Mat Deros, and his infamous “Istana” built on allegedly illegally-acquired land. In 2012/13 we have the National Feedlot Corporation (NFC) scandal, which continues to unfold.The NFC has been very damaging in rural Malay and Indian communities where voters are most familiar with the economics of cattle-rearing. Changing face of domestic politics: Malaysian politics is shifting. This will be the last GE for “institutional” players, the UMNO warlords who refuse to court public opinion. Most of these political dinosaurs can’t be bothered to engage with the public, debate and/or win support from the media. 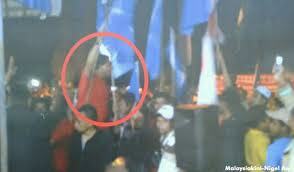 Indeed, party hacks – from both BN and Pakatan – will become increasingly unpopular and loathed. They have no future and will be replaced by those who can think, talk and argue in public such as Saifuddin Abdullah, Zambry Abdul Kadir and Shabery Cheek. Emotional intelligence and humility will also be important. The absence of these two qualities will lead to the premature political demise of certain candidates. Kedah: Pakatan extols its successes in Penang and Selangor. However, the coalition is strangely silent about the Kedah government’s less than sterling record of administration. Public trust in the Government: Widespread cynicism and distrust will force the Government to shelve many policy and business initiatives. BN’s ability to command public support without extensive consultation and stakeholder engagement has evaporated. Put all this together and what do you get? A very, very interesting 2012/13 indeed. Posted in Democracy, Elections, Governance, Politics. Much has already been written about President Obama’s economic team, and much of it has been highly critical. 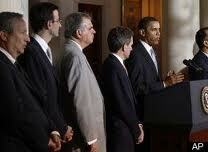 Richard Wolffe described it as “the most dysfunctional group of the president’s advisers.” Michael Hirsh wondered why many of the people who “let the catastrophe” of 2008 happen — through their deregulatory policies in the Clinton administration — were back “running the show.” Ron Suskind argued that Mr. Obama’s bold campaign promises to implement a broad swath of new fiscal regulations gave way to Treasury Secretary Timothy F. Geithner’s more tepid, Wall Street-friendly approach. And the economist Joseph Stiglitz slammed the Obama administration for “directing most of its efforts at rescuing the banks” and for a stimulus that was too small and poorly targeted. 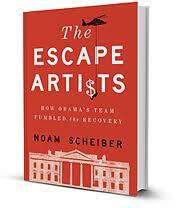 “The Escape Artists,” a new book by Noam Scheiber, a senior editor at The New Republic, echoes such sentiments and goes on to provide a depressing account of what the author sees as the Obama team’s repeated failures to grapple forcefully with the economy and unemployment. The book draws on interviews with more than 250 people, including many former and current members of the administration. But its reporting is mixed with Mr. Scheiber’s very decided opinions — about, say, the size and shape of the stimulus and the political feasibility of passing something larger — that some readers will vigorously contest. When it comes to Mr. Obama himself Mr. Scheiber draws a portrait of a president with a messianic streak, whose “determination to change the course of history” made him reluctant to accept Mr. Geithner’s suggestion that his signature achievement would be preventing another Great Depression. Instead the President insisted on pursuing his vision of health care reform in his first year in office even though many of his advisers were warning that such an initiative would distract attention from the urgent need to focus on the economy and jobs. This book retraces lots of ground that will be familiar to readers of earlier books and news reports about the Obama administration, but Mr. Scheiber writes with ease and authority about complicated financial matters like the regulation of derivatives and too-big-to-fail banks. What the book adds are more behind-the-scenes details about how the president’s economic team handled the fiscal crisis, especially the initial 2009 stimulus. Mr. Scheiber’s portraits of team members similarly amplify those laid out in earlier books by Mr. Hirsh and Mr. Suskind, but he proves particularly adept at showing how their personalities, philosophies and previous experiences with one another shaped their interactions and the policy-making process. Mr. Scheiber suggests that in-fighting among members of the Obama economic team slowed decision making and resulted in often muddled policy. He argues that Lawrence H. Summers, the director of the National Economic Council who acted as a sort of gatekeeper for President Obama, was “next to hopeless” when it came to generating a workable plan. 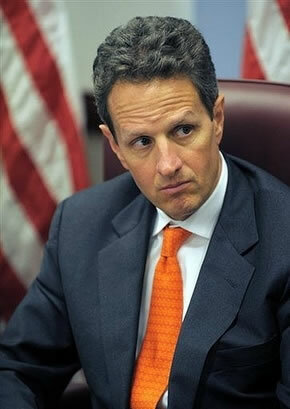 Mr. Geithner’s outlook eventually prevailed in the administration, and, in Mr. Scheiber’s opinion, led to reform that amounted to little more than tinkering around the margins: the banks, he says, “won major concessions on nearly every element they’d fiercely resisted.” This not only fueled populist anger against the banks and the administration, Mr. Scheiber argues, but also left in place many of the elements (like poorly regulated derivatives and too-big-to-fail institutions) that had contributed to the 2008 cataclysm in the first place. When it comes to questions about the size of the Obama administration’s 2009 stimulus, Mr. Scheiber sides strongly with economists like Mr. Stiglitz and Paul Krugman, the columnist for The New York Times, who have argued that $800 billion just wasn’t large enough to do the job (in contrast to Congressional Republicans who thought it was too expensive and misdirected). This is why, Mr. Scheiber suggests, the recovery has been so slow, why unemployment remains high, why the American public has been so restive and pessimistic. He does not make a terribly convincing case, in these pages, for how the administration could have gotten a larger package through Congress. Echoing other commentators on the left, Mr. Scheiber also argues that the White House was slow to realize that “the G.O.P. had no interest in compromise,” and that it repeatedly caved to the Republicans over taxes, the deficit and the debt ceiling. He contends that Mr. Obama did little to line up Democratic support in Congress for his jobs bill and other policies, and that he “rarely exploited the massive stature of his office as a tool for influencing legislation” during the making of the original stimulus in 2009, during the initial push for health care reform, or during bargaining over the Bush tax cuts and the standoff over the deficit. Mr. Scheiber’s conclusion? “That Team Obama helped avert catastrophe” — that is, a slide into another Great Depression — is “beyond question,” but despite its heroic efforts, “the Obamans nonetheless failed at the task they set for themselves — of restoring the economy to something resembling its precrisis vitality.” Given that a lot of pre-2008 prosperity rested on shaky grounds (a housing bubble, huge amounts of leverage and deregulatory policies that fueled the Wall Street meltdown), and given recent sprouts of hope on the economic front (a rising Dow, an improving jobs picture), it feels like a glib and premature conclusion to what is a revealing, if polemical, book. Posted in Book Review, Economics, Finance, Governance, Politics. Few people, least of all Vladimir Putin, who plans to return to Russia’s presidency on March 4, could have imagined last December that Russians would, for the first time in 20 years, wake up and rally in their tens of thousands against the government. Unlike the Arab Spring rebellions, the driving force behind the ongoing protests is not Russia’s poor and disadvantaged, but rather the country’s rising urban middle class. That is an important difference, for, historically, successful democratic transitions have almost always required a politically mobilized middle class. Well-educated and successful, middle-class Russians have taken to the streets to gain respect from a Kremlin hierarchy that is mired in deceit and corruption. The last straw was the blatant falsification of December’s parliamentary elections, which reinforced citizens’ sense that the regime regards them with contempt. Russians are particularly outraged by Putin’s arrogant treatment of the presidency as an office that can be “loaned” to allies – like the current incumbent, Dmitri Medvedev – and reclaimed whenever he wishes. But, despite the large protests in Moscow, Saint Petersburg, and other cities, the authorities rejected demonstrators’ demands to nullify the election results. Indeed, it is becoming increasingly clear that, by hook or by crook, Putin will spend six more years as Russia’s ruler. What will another Putin presidency mean for Russia? Securely fenced off from real political competition, Putin cannot return to the Kremlin as “the president of hope,” as he styled himself in 2000, at the beginning of his first term. Moreover, he no longer resembles Putin the “national leader,” who, in his second term, reinvigorated the state and presided over an economic boom. So who can Putin III be? How will he use the enormous powers granted the Russian president in a political system that lacks any real checks and balances? Putin’s pre-election monologues and articles suggest an ominous answer: his presidency will be based on a genuine misunderstanding of the structure of contemporary international relations, markets, and democracy, and will be driven by his uncontrollable messianism. Calls for liberalism coexist with statist dogma, and bloviating populism trumps regard for complexity and hard choices. 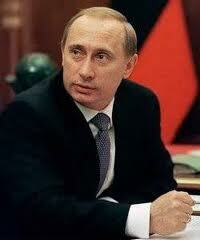 In fact, Putin has nothing to offer Russians aside from his own vulgar, hackneyed rhetoric. He no longer understands the problems facing the country, and therefore has no idea what needs to be done. Nor does he have any anxiety about the damage that his misrule portends for Russia’s future. Putin’s third presidency will be a reign of instinct and appetite, rather than a government of reason and restraint. Of course, Putin will begin his new term with earnest words about renewal, development, democratization, and the scourge of corruption. He might even offer some symbolic gestures, such as dissociating himself from objectionable political and media figures, or showing leniency towards those he has imprisoned for opposing him. But all of this would be aimed at maintaining political power, rather than reforming it. Indeed, the Kremlin has produced much lofty talk of freedom and modernization in recent years. But, without the political will to implement the necessary changes, such promises are destined to remain just that. The problem is that the principle of free and fair competition that characterizes the developed world is subversive of the Russian state that Putin has built – a state based on the merger of government and business. As a result, even if the will to change suddenly and miraculously emerged in today’s Kremlin, the illegitimacy of the entire federal government would render effective policy making impossible. Instead of formulating and implementing comprehensive and transparent reforms, the government would have no choice but to continue to indulge – and, above all, avoid threatening – vested interests. 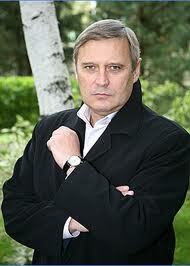 No one should be deceived by any concessions that the Kremlin makes. Russia’s liberals would gain nothing from compromising their consciences and blessing Putin’s third term. As before, they would get no real power in return, and any possibility of genuine change from within the existing power structure would remain minimal. Indeed, steps by the authorities to mollify public opinion will continue to be accompanied by increased pressure on the opposition and on civil-society organizations. In the months following Putin’s return to the presidency, much will depend upon Russia’s civil society and the protest movement’s leaders. 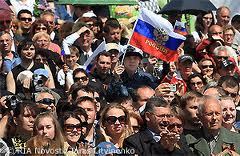 Russians must persevere and formulate a set of specific political demands. They must insist upon real and dramatic changes – rather than cosmetic improvements – to Russia’s political system. The main objective now is to strive for free and fair elections that will ultimately lead to a legitimate and responsible government. The list of pressing issues facing Russia is already long, and their resolution can no longer be delayed. As long as Putin remains in control, that list will only grow. Mikhail Kasyanov was Prime Minister of Russia from 2000 to 2004, and is the leader of the opposition People’s Democratic Union. Posted in Democracy, Foreign Policy, Governance, International Affairs, Politics.